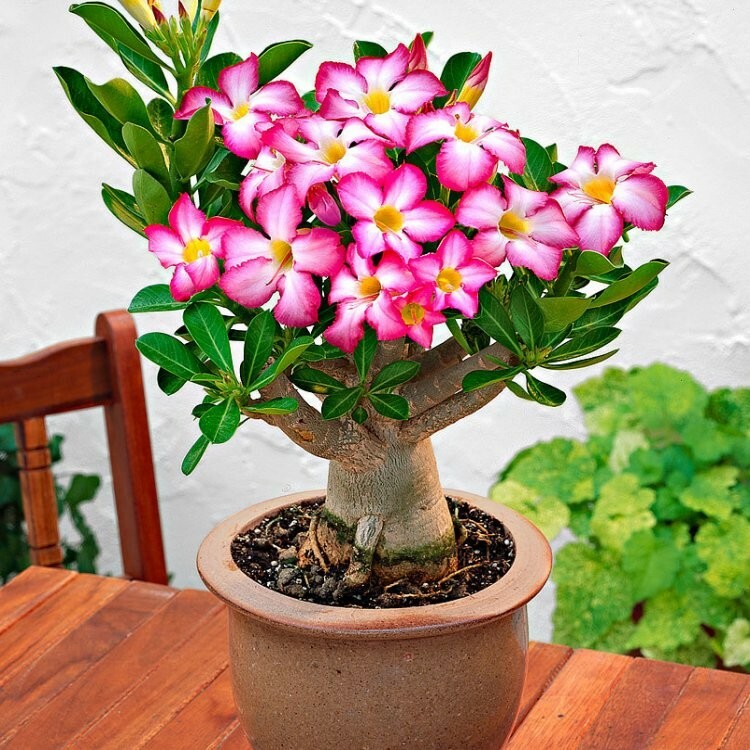 Adenium obesum, also known as the Desert Rose Plant or impala lily hails from South Africa. 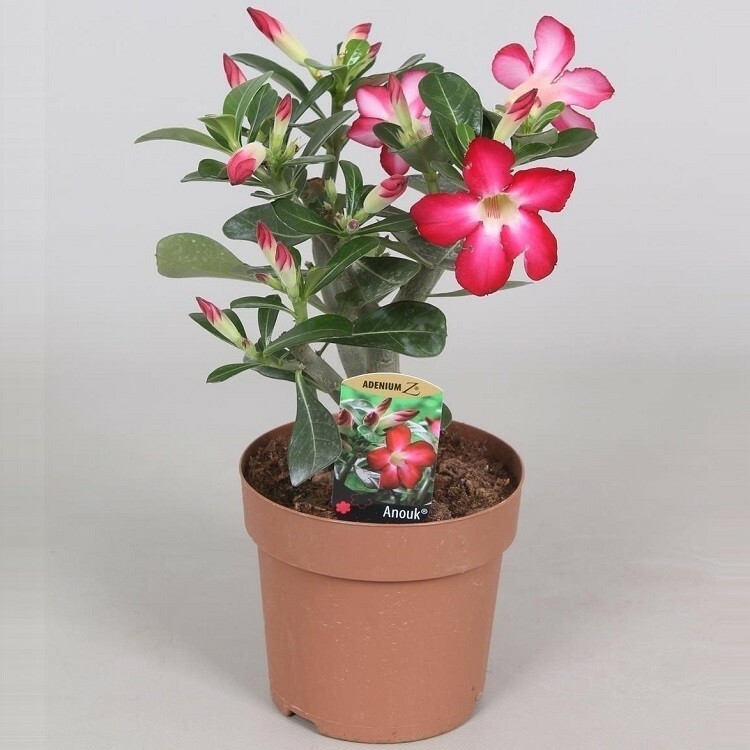 Our variety 'Anouk' has a neat shape and displays brightly coloured flowers, an extremely rewarding houseplant or patio plant for the summer months that will do fantastically in a bright sunny spot, flowering regularly, usually twice each year. The flowers are large and up to 5cms wide, looking very exotic in appearance. 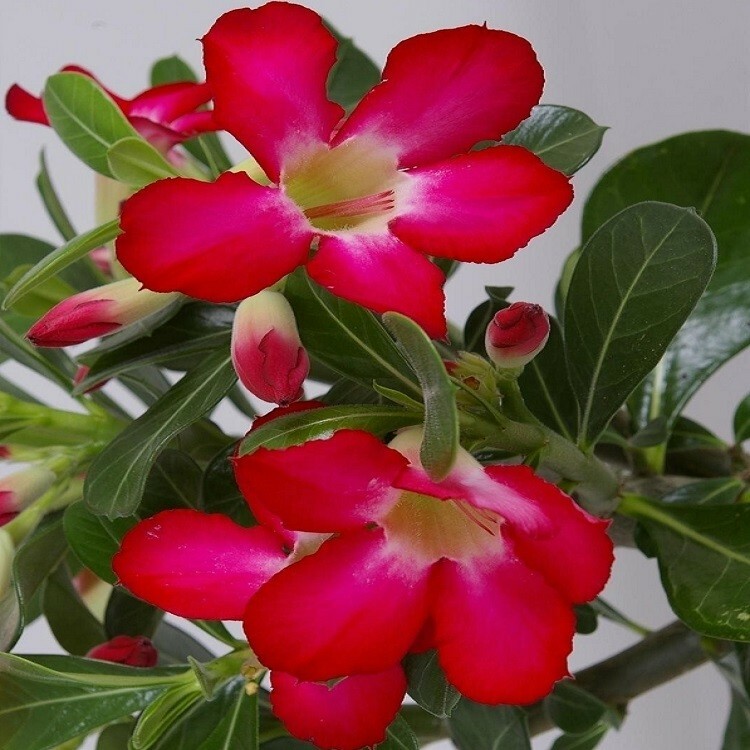 Get this exotic looking beauty for your home or on your patio now and you too can enjoy the profuse flowering. Supplied at around 30cms tall in an approx 14cm pot.